A Texas woman who allegedly claimed to be a member of the 'carnival mafia' has been charged in the murders of a Kansas couple. 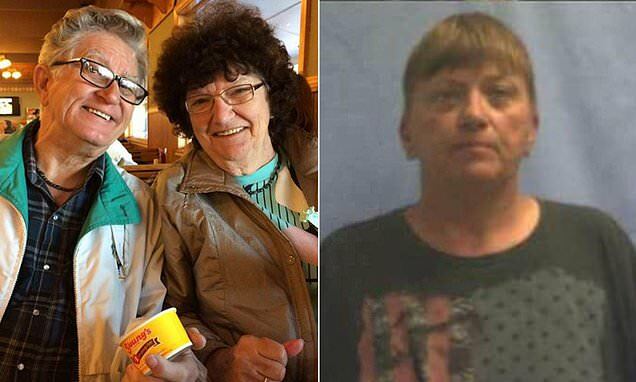 Authorities said that Kimberly Younger, 52, ordered the deaths of Barton County Fair vendors, Alfred Carpenter, 78, and 79-year-old Pauline Carpenter. She was charged in the couple's deaths alongside Michael Fowler and Rusty Frasier. According to Arkansas Online, Fowler claims that younger was posing as a carnival mafia member named Frank Zaitchik in text messages when she ordered him and Fraiser to kill the couple on July 14. Fowler reportedly told authorities that he was ordered to kill the couple as part of an initiation ritual.